Several brokerage houses have come out with their recommendations on the Equitas Holdings IPO which opens for subscription tomorrow. Analysts are largely positive on the IPO of the Chennai-based microfinance player. Priced in the range of INR109-110 per share, the IPO is aimed at mobilizing INR2,176.7 crore at the upper end of the price band. 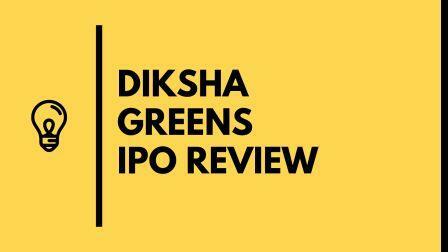 A mix of fresh issue and offer for sale, the IPO will offer an exit route to International Finance Corporation (IFC), CDC Group, Sequoia, WestBridge and Aavishkaar. You can read our analysis of the IPO here; but in the meanwhile, here is what analysts have to say about Equitas IPO. Geojit BNP Paribas has put a “Subscribe” rating on the IPO citing adequate capitalization and cross-selling opportunities. “As of December 31, 2015, the capital adequacy ratio (CAR) of EMFL and EFL was 21.02% and 31.45%, respectively, compared to the RBI mandated CAR requirement of 15.00%. Likewise, the CAR of EHFL was 32.11%, as compared to the applicable regulatory requirement of 12.00%. Hence, the company has enough cushion to leverage and expand its loan portfolio considerably,” said the brokerage firm in its IPO note. “After converting into small finance bank, the company would have lot of cross-selling opportunities with gamut of products to offer,” added analysts at Geojit BNP Paribas in their recommendation. Similarly, India Infoline is advising investors to “Subscribe” to the IPO. Analysts contend valuations are reasonable and Equitas will benefit from lower cost of funds from access to public deposits. “At the upper band, the stock is priced at ~1.85x FY16 P/Adj. BV on post-money basis. We believe that pricing is reasonable given that it is lower than well run private sector banks and it also seems to sufficiently capture the likely compression in RoA over the next couple of years due to required investments,” said analysts in their research note. Mumbai-based Elite Wealth has also put a “Subscribe” rating on Equitas IPO while emphasizing low NPAs of the microfinance player. “On FY15 earnings of Rs 4.47, the company has offered shares at a PEx of 24.7x on upper price band. As of December 2015 its GNPA stands at 1.33% while its NPS stands at 0.97%. Keeping in mind all the facts and figures we recommend our investors to subscribe this issue for listing gains as well as long term point of view,” wrote analysts at the firm in their IPO note. Take our quick poll on the right side to know what is the mood of people! !